I apologise for the misleading title of this post, as if you’re of a Chinese background you’re probably looking at this little selection thinking ‘they’re not odd at all!?’. Well, to us Westerners (particularly Stoke ones) these were the oddest selection of things (minus fish heads and live crabs) that I could find in the Chinese Supermarket on a recent visit. I originally went to the Chinese Supermarket to get some Tom Kha paste. But they’ve stopped selling it?! WHY?! It’s the best product EVER and so simple to make a delicious Tom Kha soup with, wah wah wah. Sulking aside, I cheered myself up with the following little treats. First up, we have Green Tea Noodles. 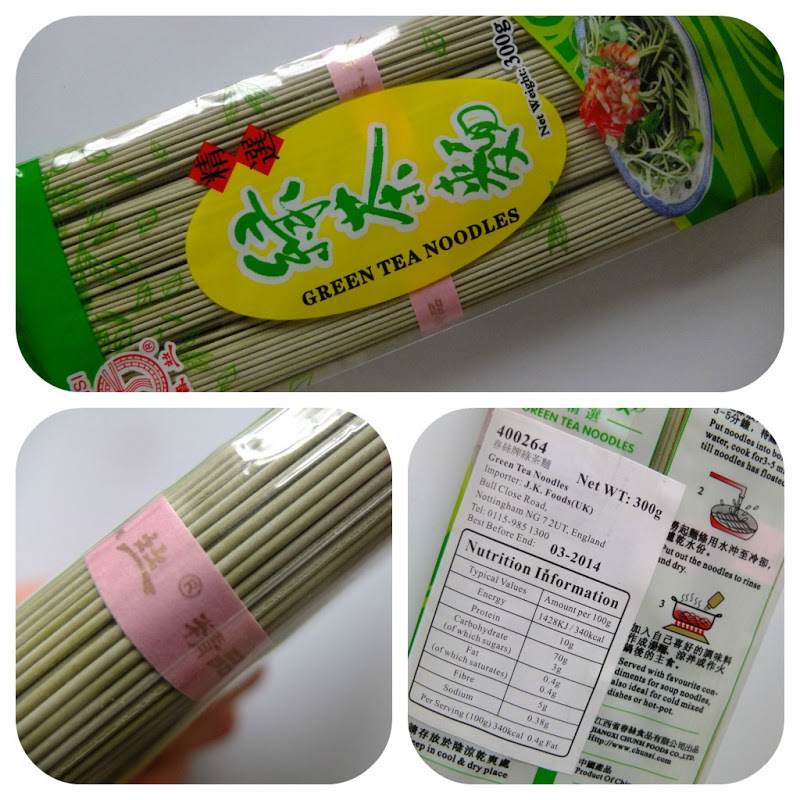 I bought these, well, because they’re noodles with green tea in of course! I’d never heard of such a thing. I know you can get noodles with strange stuff in, like squid ink and the like, but green tea sounded pretty appealing. I had no idea what to serve these with though, as clearly a few meatballs and tomato sauce wasn’t going to be a fitting accompaniment. I first tried them with some curry paste mixed in, thinking that would make some kind of nice, erm, I don’t even know. Anyway. It didn’t work and created some kind of slop in the bottom of the pan, yuck! That swiftly got thrown away. I then just tried the noodles on their own, with nothing added and served just in a bowl with a little salt sprinkled on. It was a success. But kind of bland. They’re nothing special, and nothing that’s going to blow you away! A very delicate flavour of green tea can be tasted when they’re on their own, but with anything stronger than salt I think the flavour would completely disappear. Unless anyone knows a way to enhance the flavour some how? They’re cooked the same as regular spaghetti and can go from pack to plate in around 10 minutes, so a quick and different snack if ever there was one. 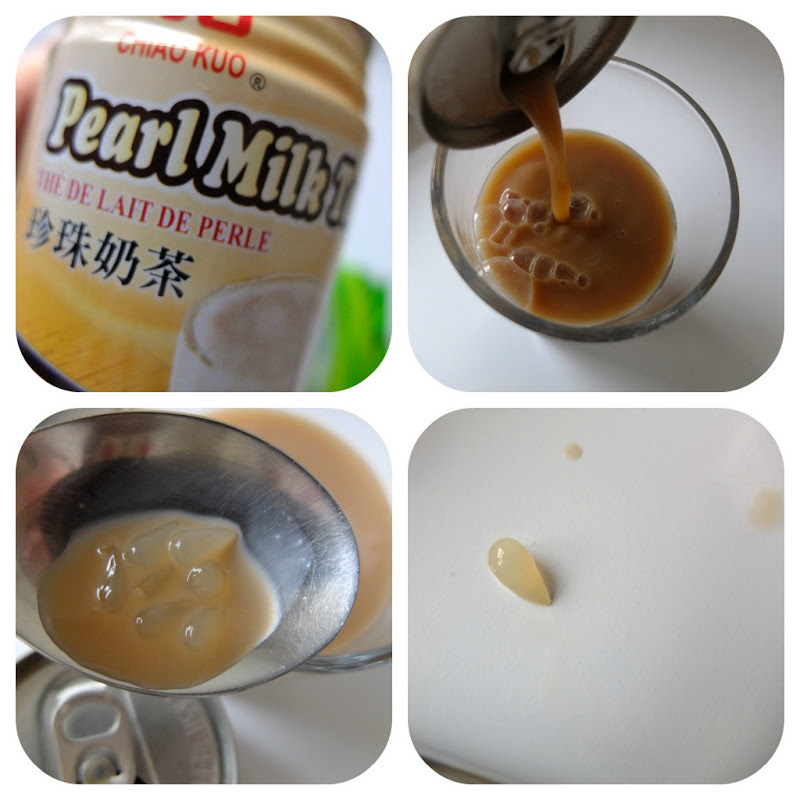 Second up we have Pearl Milk Tea. I guess this is kind of a take on Bubble Tea, but in a can. I didn’t have high hopes for this whatsoever. In fact the thought of it make me feel a little sickly in my tummy, and let’s face it, the can doesn’t exactly make it look too appetising either! I poured it into a glass so I could get the ‘full effect’ but didn’t have a straw, so the ‘pearls’ just stayed at the bottom. I fished some out with a spoon and tried them on their own and they were just flavourless little chewy balls of erm, well, nothing. The Milk Tea itself was quite wonderful though. It was very sweet and reminded me of sugarpuffs. I didn’t drink the whole can in one go though as it was a little too much for one belly to take. The pearls didn’t add anything to the drink but equally they didn’t offend my taste buds. Finally, my favourite from my little selection! SUGUS! 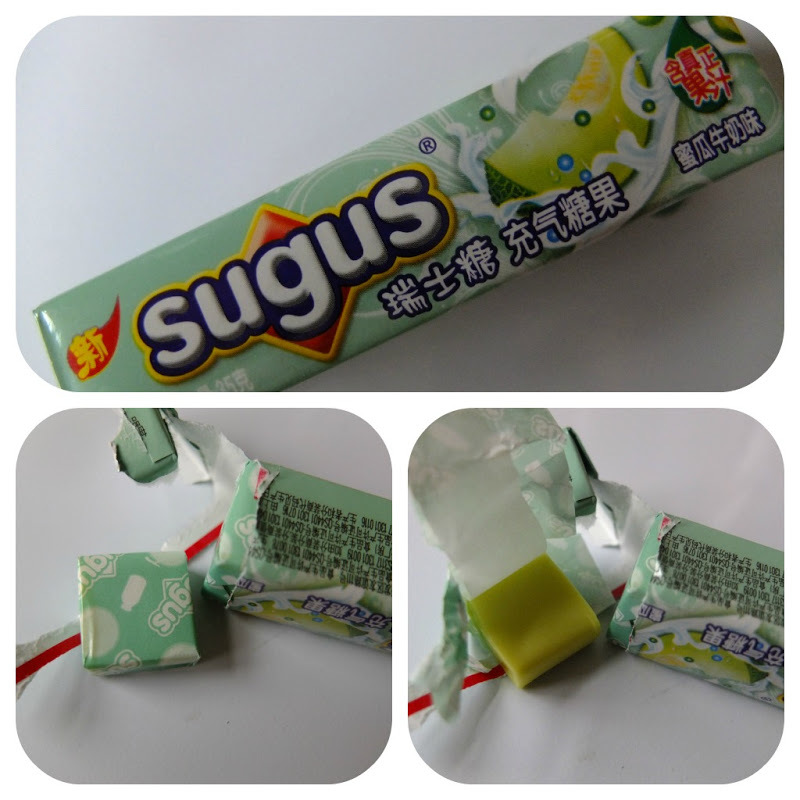 What Sugus actually are I cannot tell you as the packet had no English writing on at all. I just saw a melon on it and bought two packs, as you do. Turns out, they’re kind of like a chinese take on Chewits. But a little bit harder to chew. They have a kind of buttery taste like Werthers Original do but with a lovely melon flavour. They really are so nice! Well, if you like buttery melon flavours they are. I will be scouting out some more of these for definite on my next visit. There’s not much else do elaborate on with these though, so I will leave it just at they’re a taste sensation. What do you think of my selection? Has it inspired you to push the boat out and try something new on your next visit to the Chinese Supermarket? I lost the receipt telling me how much each thing cost but from my recollection nothing was more than £1.50 and the most expensive item was the noodles.